If you’re an experienced Digital Marketer then you’re probably aware that a landing page is crucial to bringing in those all-important leads to your business. These make it essential for a successful inbound marketing campaign. Regardless of how crucial a landing page could be, there are businesses that make a considerable number of mistakes that could potentially harm the quality of leads that do come in. Creating one is just as much an art as it is science. You want it to look good and also bring in what you need and that’s where striking the balance lies. A landing page that looks good but doesn’t bring in any leads, isn’t a good landing page at all. One of the biggest elements of a landing page is its call to action and every digital marketer should know this by now. A call to action is what drives the user to create a lead for you and if your landing page has no information to instigate such an action, the chances are that the user will move back and never visit your page again. Either you may not have a call to action button to begin with, or there may not be much to differentiate it from other elements in the first place. Try ensuring that it stands out and looks interesting enough to instigate the user. You could also avoid the messaging being to generic such as “enquire now” or “submit”. If you’ve been spending a lot of time on the internet just looking through things, then you’d know that quality images only add to the experience of reading good content. While it is tempting to use good looking images to further enhance your landing page experience, it’s essential to be careful of what you decide to go with. Going with images that are to flashy may tend to deviate the users eye from the call to action. Try to keep your images as relevant to the objectives of your landing page. Using stock images of a person will not help and could even tarnish your branding. Try getting pictures of someone actually using your product or service as they speak the best. With today’s technology, you could just as easily do it yourself. If you’ve been doing digital marketing for a while then you must know of Ad relevancy and how it plays a big role in ranking your keywords. Keywords are what usually trigger your ad on Google search network. You enter a pre phrased keyword to find a text ad pop up on your page. But what happens if the page you’re redirected to through the ad turns out to be a little different from what you expected? Google has the knack of measuring the relevancy of the landing page and the Ad and if things don’t match, chances are that those keywords get debunked. It’s your job to make sure that the messaging between the two is as consistent as possible. This means maintain the same keywords and messaging on both your landing page and your ads. With the advent and evolution of internet technology and ease of accessibility, users get more and more used to content being delivered to them at breakneck speeds. This is now seen as a standard norm in terms of overall internet and browsing quality. This makes them highly irritable and impatient, when pages take a few extra seconds to load up. These few seconds can also be a major difference between you and your competitor. 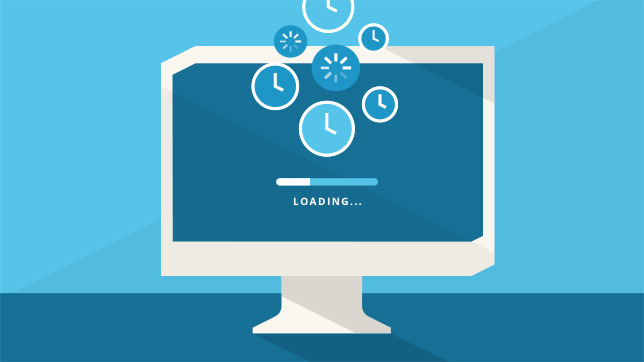 Recording leads on your landing page could suffer considerably if your landing page takes longer to load up. You could try reducing your load time by reducing the number of HTTP requests. Instead of embedding externally, you could try CSS to minimize file sizes thus enabling faster load times. You could also identify potential issues with your web server and also use third party applications like page speed insights from Google. This concept works quite similar to optimizing blogs as well. Digital Marketing is no walk in the park. It consists of hours to an end which will need you constantly tweaking what you create to ensure the best standards are met. This is also the case with your landing page experiences. As someone who understands marketing, you’ll constantly need to test and optimize functionalities so as to achieve your desired objective. Going mobile is a big trend these days with most users now substituting their computer screens for more compact experiences. Landing pages could be optimized and emulated to function just as well on mobile devices. One could also take up A/B split testing to further enhance and test different experience. The possibilities are quite limitless in the optimization phase and could only narrow your room for potential errors. We mentioned earlier about how the community is now going mobile. With the estimated number of mobile phone users to reach 4.77 billion in 2017, it’s clear what the ultimate medium of communication will be for the years to come. Everyone today prefer their experiences on-the-go and smartphones aim to do just that. Smartphones are available in abundance and are also considered a necessity today making it accessible to all. So where does a landing page come into all of this? Well, since many prefer their experiences on-the-go, why not look into giving them such a landing experience? Creating a responsive design for your landing page to cater to more than just computers should be a priority. Try using Responsinator as a great way to create responsive design for your content. These are just a few steps you could take to improve your landing page experience. Note that there’s a lot out there that can be incorporated and that creating a better experience will take time and patience. These points highlighted are small in stature but can a make a huge difference if carried out wisely. You could also read up on our blog on how to improve your SEO rankings.